Porrima goes for a quickfire Newcastle hat-trick and may well still have a bit up her sleeve in the Follow Top Tipster Templegate At Sunracing Apprentice Handicap. Ben Haslam’s filly has returned from a near five-month break in brilliant form, winning two seven-furlong handicaps in eight days. The same time has elapsed again since the second of them, when she defied a slow start and a penalty which left her wrong at the weights to finish strongly for a comfortable one-and-a-half-length win. The move up to a mile looks likely to suit, and Porrima is still carrying 1lb less than her officially revised rating. Sebastian Woods, replacing Andrew Mullen here, takes off another three - so much looks in place for in-form Haslam to keep up his fine recent strike rate. Justice Lady represents Robert Cowell in the Betway Sprint Handicap. This five-furlong event is right in the Cambridgeshire trainer’s ball-park, and Justice Lady is another who looks as if she may still be well-treated. Unraced since finishing a neck second in early October, the six-year-old mare had Pea Shooter narrowly back in third that day. Brian Ellison’s veteran has recently upheld the value of that form with a victory and close-up second at this track, and it will be no surprise if Justice Lady can achieve something similar. Wise Words may prove to be a newcomer of note in the Ladbrokes Novice Stakes. James Tate’s three-year-old filly will not necessarily need to be a superstar to beat a few colts on her debut. Her mother was a four-time winner at up to 10 furlongs, including three on the all-weather, so this stiff seven looks a feasible starting point against opponents who have yet to win in 11 attempts between them. In the Play 4 To Score At Betway Handicap, Choice Encounter is another chasing a hat-trick. 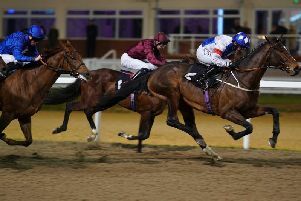 New-year wins over six furlongs at Kempton have came by small margins, and Archie Watson’s four-year-old gelding is therefore up only 3lb so far for his trouble. The prolific Luke Morris may be the man to trust to get Southwell punters off to a winning start in the Ladbrokes Home Of The Odds Boost Handicap - with prospects of then doubling up in the Like SunRacing On Facebook Maiden Stakes for good measure 35 minutes later. Morris starts the card aboard Kyllukey, who provided a level of encouragement on his first start for a new stable at Kempton when fifth after a break as 7-2 favourite two weeks ago. He was runner-up on his sole previous Fibresand start over this five furlongs three years ago - and should be bang there in this grade. Battle Of Paradise has scope for more improvement in the next race, having found only one too good on his debut at Kempton under Morris last month, and has obvious prospects of breaking his duck here. Over the significantly longer trip of three miles, five and a half furlongs at Bangor, Oneida Tribe looks the part in the Stella Cidre Handicap Chase. 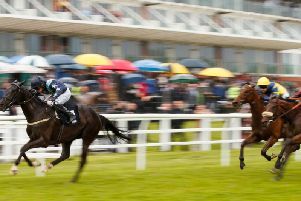 Robin Dickin’s 10-year-old could not quite cope with the much-improved Ange Des Malberaux at Warwick last time, but there is no disgrace in that. With a soft-ground Towcester win on his record last year, and a wind operation in the meantime, Oneida Tribe could well be in his element here. Like The Sound took his form to a new level with a surprise win at Wincanton last month. Charlie Mann’s eight-year-old has gone up a deserved 9lb for that success but looked very progressive and can be expected to act well round a similar track in Kempton’s Matchbook Betting Podcast Handicap Chase. BANGOR: 1.40 Pogue, 2.10 Dalila Du Seuil, 2.45 Trio For Rio, 3.20 Oneida Tribe, 3.50 Snougar, 4.20 L’Air Du Vent, 4.55 Brandon Hill. DUNDALK: 5.30 Reckless Lad, 6.00 Crest Of A Wave, 6.30 Sky Seven, 7.00 The Game Of Life, 7.30 Cityman, 8.00 Chess Grand Master, 8.30 Caronda. KEMPTON: 1.50 Jimmy Rabbitte, 2.25 Dickie Diver, 3.00 Cesar Collonges, 3.30 Panic And Run, 4.00 Like The Sound, 4.30 Mercian Knight. NEWCASTLE: 4.40 Cornborough, 5.10 PORRIMA (NAP), 5.45 Scenery, 6.15 Justice Lady, 6.45 Wise Words, 7.15 Choice Encounter, 7.45 Harperelle. SOUTHWELL: 2.00 Kyllukey, 2.35 Battle Of Paradise, 3.10 Biz Markee, 3.40 Space Bandit, 4.10 Galileo’s Spear, 4.45 Astraea.